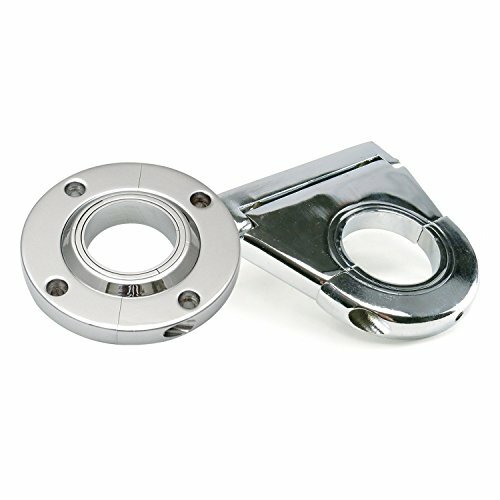 This brand new chrome plated billet aluminum swivel floor mount is perfect for all 2 inch diameter aftermarket steering columns. 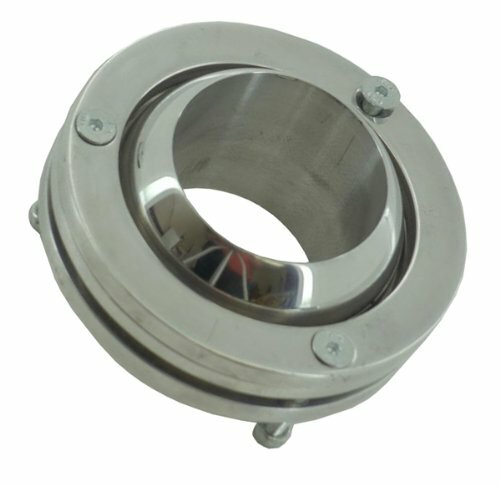 This floor mount allows 60 degrees of angle and has a total outside diameter of 4-1/2 inches. Machined from billet aluminum then show polished and triple chrome plated. Includes mounting hardware. 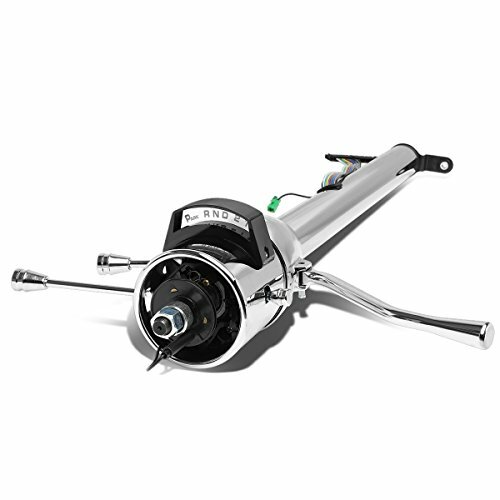 For vehicles with a manual transmission or a floor-mount automatic transmission, Helix has the column for you. This floor shifter column has all the same features as the automatic column-self-cancelling signal and tilt design. 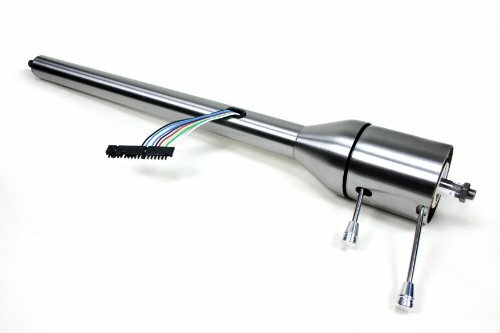 Helix's new steering columns offer 100 per cent new components and GM style plugs and adapters for easy installation. 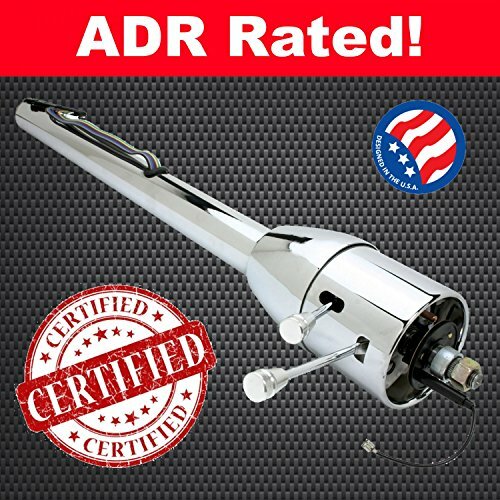 Made from heavy duty stainless steel and are available in a mill finish or high luster polished. Each column offers 2 inch tube diameter and a unique compact shroud resulting in a sleek stunning appearance. 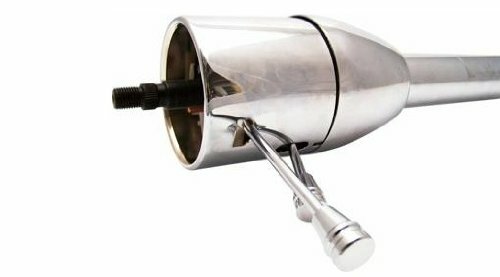 All columns come complete with dress up kit that includes matching tilt and turn signal levers, hazard knob and shifter lever. For ergonomic comfort, AutoLoc offers columns that feature a tilting design. 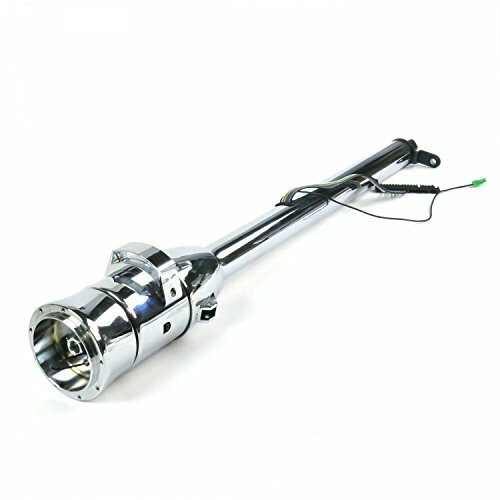 All tilt columns include an illuminated gear indicator and self-cancelling turn signals. 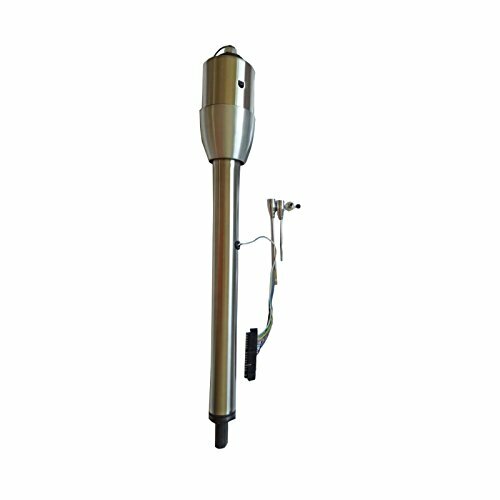 Diameter: 2 inch, Shroud Length: 7.25 inch, Main Shroud Length: 3.5 inch, Tapered Shroud Length: 3.75 inch, Column Length: 32 inch, Output Shaft: 1.25 inch long 1 inch DD, Steering Wheel Input: 3/4 x 36 inch Spline, Shroud to Wire Port: 15.5 inch, Finish: Chrome, Includes Billet Turn Signal and Hazard, illuminated display PNRD12, Pre-wired Turn Signal Switch, pre-wired Hazard Switch, GM Plug, and color coded wire. 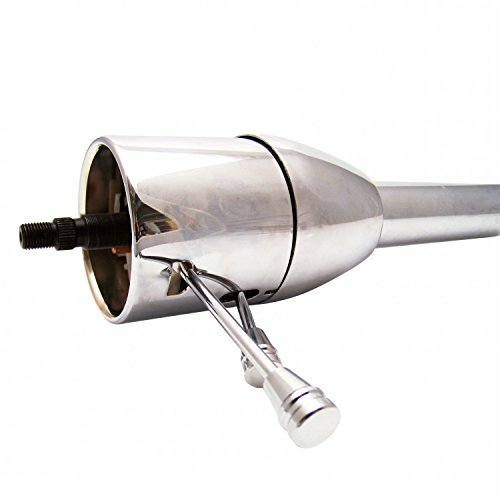 The billet aluminum ball and collar swivel up to a 60 angle making for easy installation and support for your column. 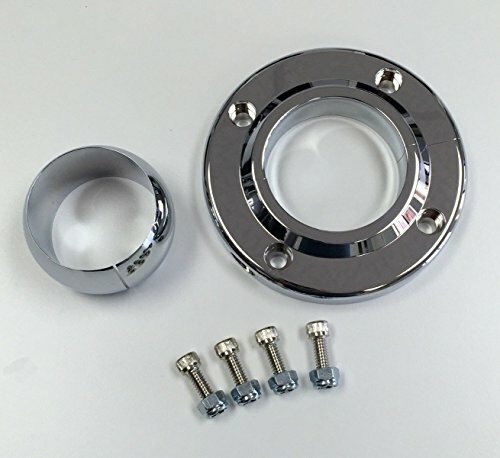 2" polished billet aluminum steering column floor ball mount.